Strong overlap between Ba3d and Co2p XPS peaks. Check for Co LMM Auger peak ( 713 eV) or Ba4d peak ( 85 eV) for confirmation. Cobalt oxides are readily reduced by Ar+ sputtering. Co2p region overlaps some of its own weaker Co LMM Auger peaks and care must be taken not to misinterpret the peak as an XPS peak. 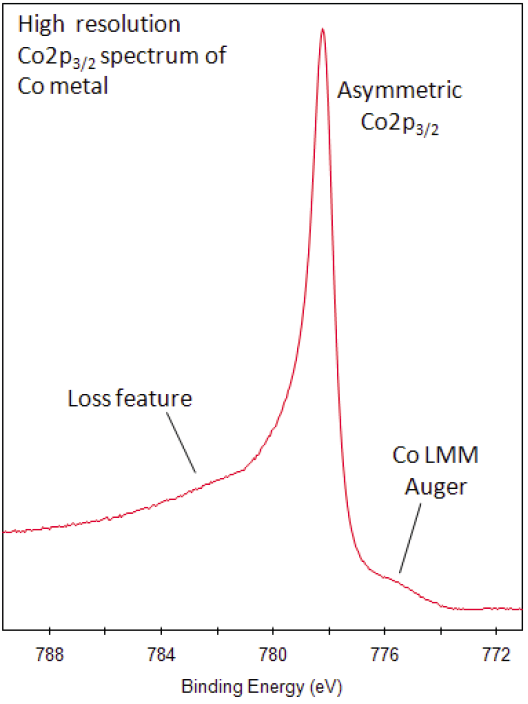 Co2p peaks have asymmetric shape for metal. A well resolved Co2p spectrum for metal shows complex structure. 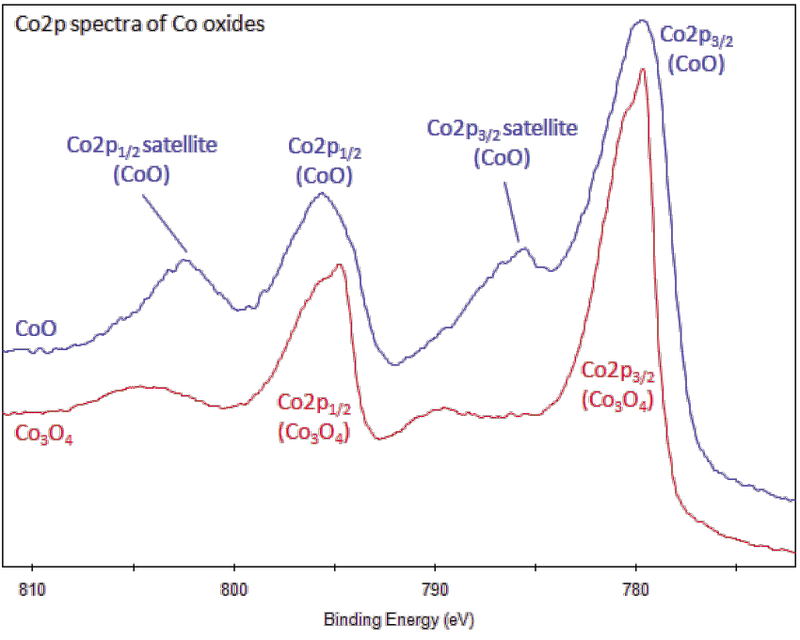 Possible to distinguish Co oxidation states using satellite features of Co2p spectrum. Co (II) has observable satellite features ~786eV. 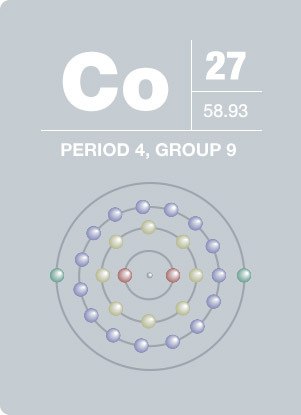 In the case of Co3O4, which is actually a mixed oxidation state of Co (II) and Co (III), we would expect to see some satellite features due to the 2+ and 3+ states. Carbon may be implanted into cobalt metal forming carbides, e.g., during argon ion depth profiling. Frequently, cobalt is associated with nickel because both elements have characteristic ingredients of meteoric iron. This solid ferro- magnetic silver-white element was known in ancient times for its compounds, but its discovery was credited to G. Brandt between 1730 and 1737 when he was able to show that cobalt colors glass a rich blue. In small amounts, cobalt is an essential element for humans and many other living organisms, and it is also a central component of vitamin B-12 or cobalamin. Cobalt should be handled with care because of its toxicity and its risk factor in nuclear confrontation. Exposure to cobalt-60, a powerful gamma ray emitter, may cause cancer.